Feature-packed with geotagging capability and cinema-quality video functionality, the Canon 6D Mark II is designed for the adventure photographer. This DSLR has a 26.2 megapixel sensor and ISO range up to 40000, capturing scenes with spectacular low light detail. Achieving perfect autofocus accuracy every time, you won’t miss a shot. The full-frame vari-angle LCD screen makes it easy to capture your scene from various angles. Capturing images in great detail will be a breeze with the Canon 6D Mark II. 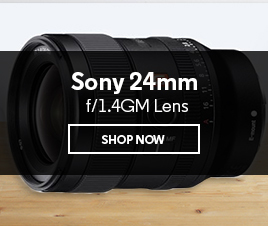 Equipped with a 26.2MP full-frame CMOS sensor, it performs exceptionally in a wide variety of scenarios, from landscape and sports photography to beautiful portraits. You’ll be able to shoot confidently even in low light conditions with native ISO 40000 that extends to ISO 102400. Whether your canvas is the intricate detail at dusk, the first rays of sun at dawn, or the stillness under the stars, the Canon 6D Mark II will outperform. The advanced DIGIC 7 image processor is Canon’s fastest processor. With the ability to automatically detect your subject even in low light, you’ll be able to accurately capture those perfectly detailed shots. Even fast moving subjects, such as a wild animal or a bird taking flight, are captured quickly and with precision. 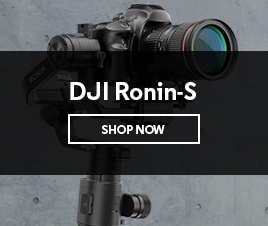 You won’t miss out on that opportune moment with this DSLR. Pinpoint the exact part of the frame you want to focus on with the advanced 45-point all-cross type AF system. It will be easy to track your subjects accurately with wide coverage offered by the dual pixel CMOS autofocus. This will enable you to better compose off-centre subjects with high precision. 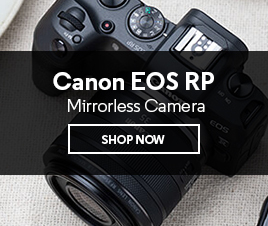 This Canon DSLR is the first ever to feature a vari-angle LCD screen with touch autofocus. 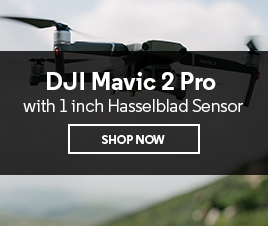 Whether it’s a shot from above or a low angle from the ground, the 3 inch 1.04m-dot vari-angle touchscreen makes it possible to capture your moment from various angles. Adjust a range of settings from different viewpoints with just the touch of your fingertip on the screen. Create professional 4K timelapse and cinema-quality movies with the Canon 6D Mark II. Easily switch over to the dedicated HDR video setting to start shooting high definition video. 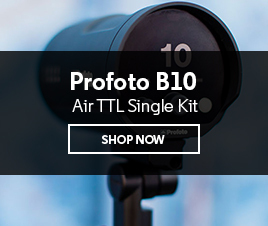 Capturing dramatic timelapse footage is easy, with excellent picture quality captured at any time of the day or night. You’ll be able to track auto exposure for each image in the timelapse sequence to make sure the lighting is perfect. Geotag the exact spot where you caught that perfect picture using in-built GPS. Use your smartphone to transfer files using the Canon Camera Connect app via Wi-Fi. Send images directly to your phone from your camera for image sharing on the go with built-in near-field communication. You won’t be left stranded at the worst possible moment without a loaded battery when you’re ready to capture that perfect shot. With a reliable, long battery life, the Canon 6D Mark II will last 1200 shots. It’s always a good idea to have a backup, but it’s reassuring to know this camera’s battery comes with good mileage. The Canon 6D Mark II’s lightweight body is built for adventure. It’s also dust and water resistant to be resilient against the harsh outdoors. Take it out with you on weekends or the trip of a lifetime without a worry. Find out more about the Canon EF 24-70mm f/4L IS Lens and see why it's the perfect match for the Canon EOS 6D Mark II camera. What is the use of the touchscreen? The touchscreen is a very handy tool for accurate and quick autofocusing and shooting. You’ll be able to capture images from new and creative angles with a quick tap of your finger. What is the benefit of the GPS functionality? Built-in GPS functionality is really handy when you want to track where you took your shots. You’ll be able to pinpoint exactly where you captured that precise moment while you were out on your adventures. Are the batteries in this Canon 6D Mark II compatible with older versions? Yes! If you’re upgrading from the original 6D, you’ll be able to use the same batteries. The Canon 6D Mark II is compatible with both the LEP6N and LPE6. How should I best look after my new DSLR camera? Keep your camera in the best possible condition by giving it a quick once-over every now and then. A cleaning kit is a great addition to have around to help keep your camera parts clean and functioning at their best. 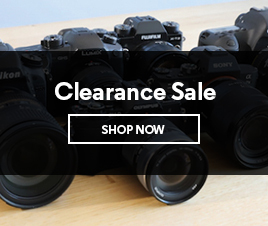 Your DSLR will last for many years so it’s important to look after it. How can I maximise the memory and capability of my DSLR? A large SD memory card such as the Sandisk 64gb 95mb/s is a good idea to reach the Canon 6D MK II’s maximum frames per second of 6.5fps. What should I carry my DSLR in? You can’t go off on your adventure without having something to carry your DSLR in. 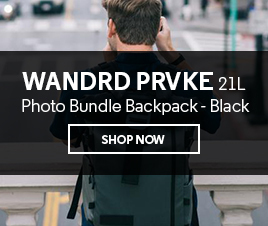 The Peak Design Everyday Backpack 20L is perfect for outdoor use and fits your camera in neatly.